Wet weather and cool temperatures made it challenging to find a comfortable spot with good vantage points in Seattle's International District. I was sitting under the gazebo at Hing Hay Park when a smiling Buddha behind the storefront window caught my attention. 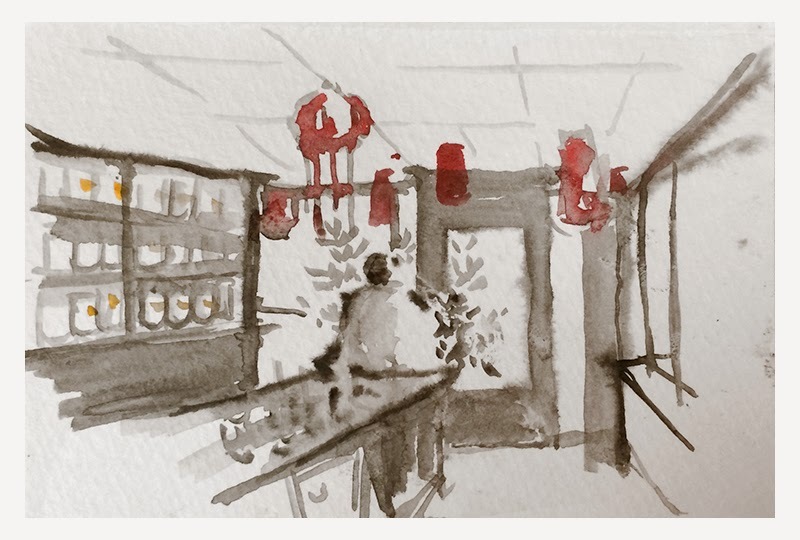 Near the corner of Maynard and King, I stumbled upon a tea shop called the New Century Tea Gallery. 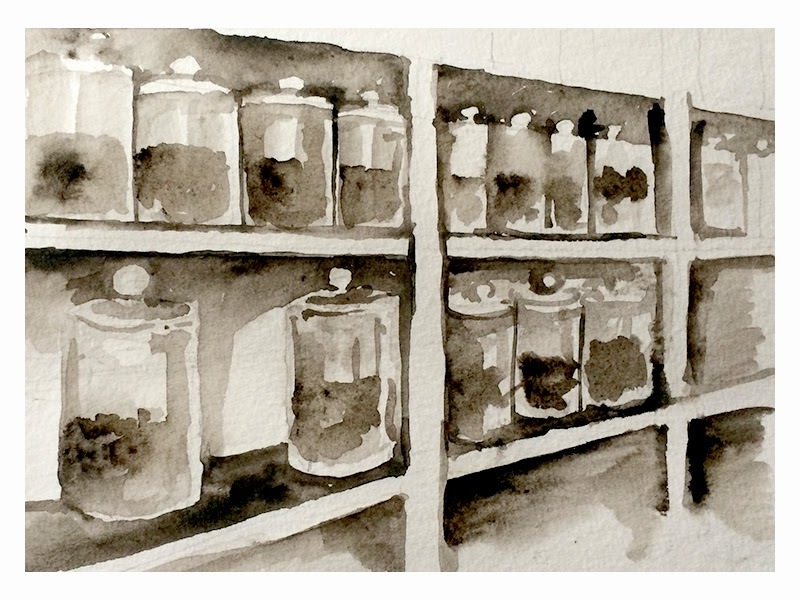 Inside the shop, massive jars filled with assorted teas line the walls all the way up to ceiling. I asked the storeowner (Dafe) if I could draw inside and he invited me to sit down at this beautifully carved wooden table. 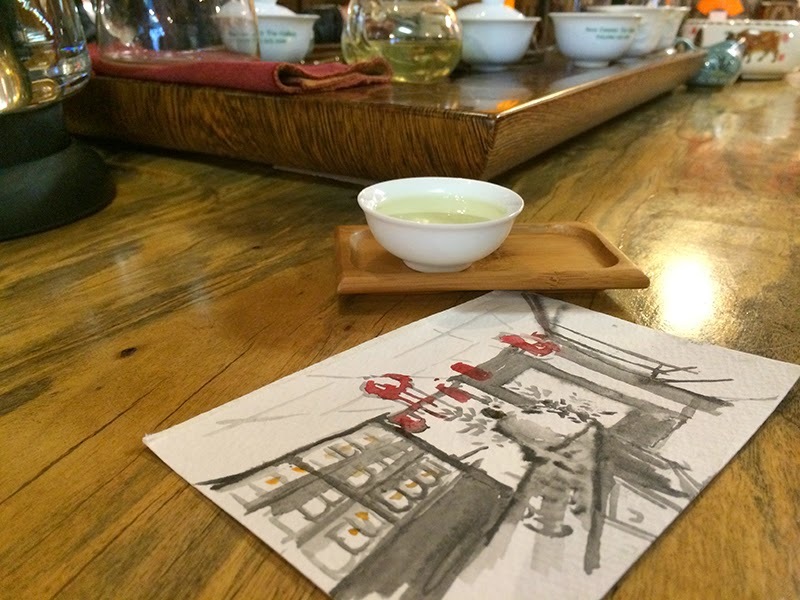 As I sketched, he treated me to a traditional Chinese tea ceremony - sampling various types from green, to jasmine, to oolong, and aged pu-erh. Not bad for a rainy Sunday afternoon.